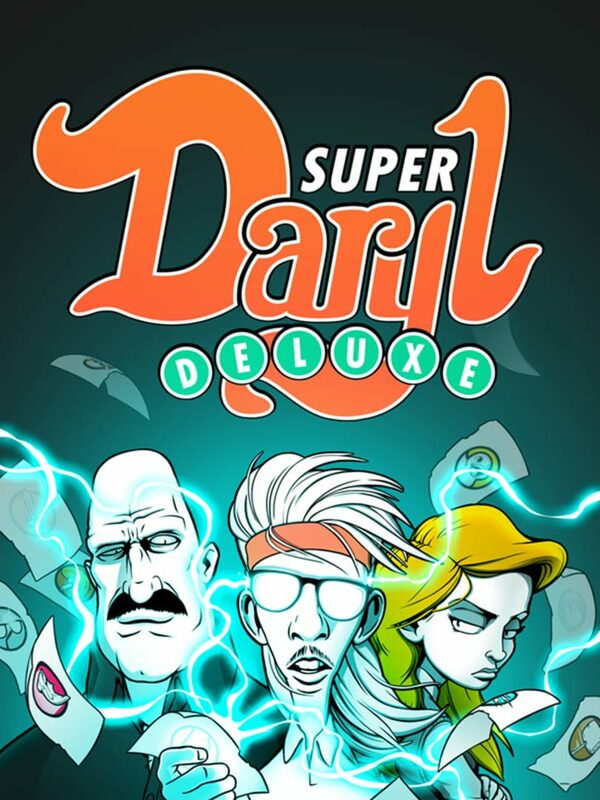 Super Daryl Deluxe is a 2D action/comedy RPG with a focus on very customizable combat and absurdity. You play as Daryl Whitelaw, a new student at Water Falls High School, a school that has been secretly taken over by a devious self-help author that plans to use the school as a front for an evil brainwashing scheme that will annihilate proper society as we know it. Daryl will struggle to climb the social ladder, save a contraband textbook business, and tutor a princess locked deep in the heart of the school. His exploits will send him through time and worlds unknown where history and fiction mingle and come to life. Utilize dozens of skills to create hundreds of unique four-skill combinations and blast your way through hordes of enemies and bosses, leveling and transforming your combat system as you play. You’ll be the most popular kid in school in no time, and you might even save the world. Super Daryl Deluxe follows an orange headband- and bellbottom- wearing adolescent who is forced to spend the height of his awkward teenage years in a new school that has, unfortunately, been taken over by evil self-help authors. His name is Daryl, and he just wants to make friends. What starts out as an innocent effort to help jump-start a young contraband textbook business turns into a dangerous quest through the underbelly of the school (and all of the classroom-based dimensions therein) in the hopes of stopping the Honors Students from brainwashing everyone and offering the world up to the evil authors behind it all.